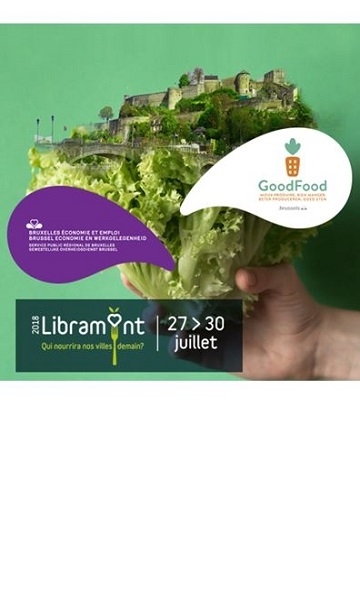 The Agriculture Team of Brussels Economy and Employment will be present with its own stand at the Libramont Fair on Saturday July 28 and thus ensures the very first participation of the Brussels-Capital Region. The theme "Who will feed our cities tomorrow?" Is the perfect occasion to put Brussels urban agriculture, the Good Food Strategy and the agricultural producers themselves in the spotlight. The Agriculture Team will present, among other things, the Brussels agricultural policy, the call for projects, the fruit and vegetable distribution for schools, the urban agriculture facilitator .... Videos will illustrate the Brussels GoodFoodstrategy, that is the ambitious goal of the Region to produce 30% of our fruit and vegetables locally by 2035. However, the real stars are Ferme Nos Pilifs, BIGH, Les Champignons de Bxl, Eclo and Urban Harvest. These 5 producers supported by the Region are engaged in urban agriculture in open ground, in cellars and on roofs, with techniques such as hydroponics, insect breeding, vertical agriculture ... They will themselves be present to propagate their passion for agriculture in an urban context and to present their products to the general public. The stand also boasts a real 'show cooking corner' where a chef will prepare surprising meals with products from Brussels urban agriculture. In this way, the public will literally be able to taste a nice sample of Brussels urban agriculture. We hope to see you there and then!